The spark that resulted in the establishment of this congregation came when Bob and Elsie Whitton moved to Waterloo, and seeing that there was no Unitarian congregation, called the American Unitarian Association to join the Church of the Larger Fellowship, an organization for Unitarians who do not live near an established church. The AUA, having already identified two other families in the area—Don and Sally Bastedo, and Carl and Ann Ott—offered to assist these three families in organizing a meeting to determine if there was interest in forming a fellowship in the Kitchener-Waterloo area. Munroe Husbands, director of the Fellowship Office in Boston, traveled to Waterloo to conduct the meeting, which was held in August 1956, with over 20 people in attendance. There was, indeed, interest in forming a congregation in the area, and on November 25, 1956, the Waterloo County Unitarian Fellowship was established. The congregation, which had been growing throughout the 1960’s, began to decline. By 1970, there were only 11 regular attendees at Sunday services. We thought seriously about disbanding but, with the encouragement of first time visitors Lee and Carol Dickey who became active members, we determined to find a way to thrive and grow. We worked together to revitalize the programming and format of the services, and intentionally met together in activities outside the Sunday morning service. In 1986, the fellowship called our first minister, Rev. David Herndon, who also served part time at the Unitarian congregation in London. The resulting growth meant that we outgrew our first home, and moved to Dunbar Street in September, 1995. 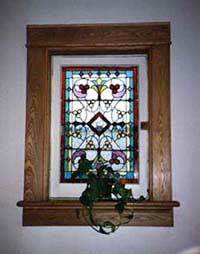 One beloved feature from our home on Allen Street was our stained glass windows. As we had to leave these behind, long-time member Ida Fisher commissioned the creation of a replica of one of them, which hung behind the pulpit at Dunbar, and hangs in our front entrance to this day. In 1998, we called Rev. Anne Treadwell as a part-time minister, and by 1999, she became the congregation’s first full-time minister. During her tenure, the congregation grew to around 120 members. After her retirement in 2004, Roberta Haskin served as interim minister in 2005, and Felicia Urbanski served for two years as interim minister beginning in 2006. 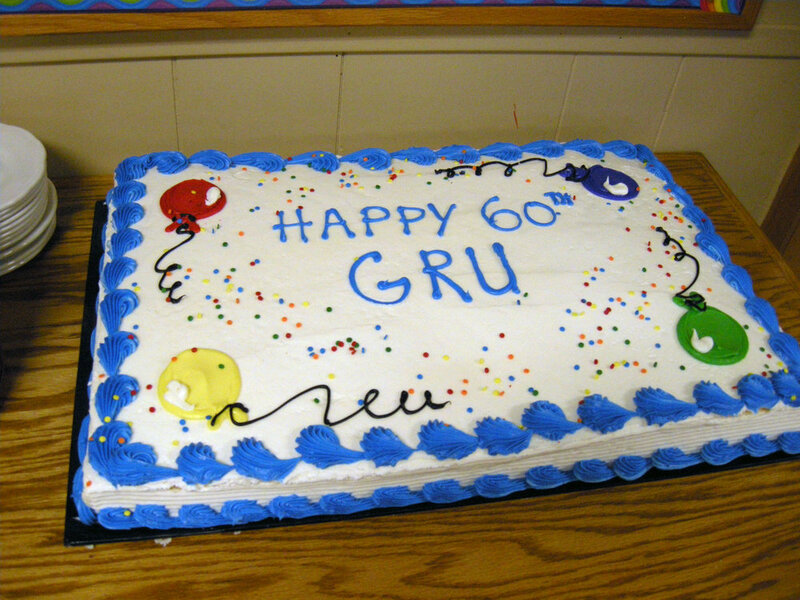 We celebrated our 50th anniversary in 2006. To commemorate our accomplishment, member Susan Deefholts wrote Spirit of Life, a memoir of our first 50 years. In October 2007, after 12 years at Dunbar, we outgrew our second building, and moved to our current location on Sydney Street, in Kitchener. This new building provided our congregation a more central location in the Waterloo Region, more meeting rooms, and an impressive sanctuary for music and worship. Our second full-time minister, Rev. Jessica Rodela, was called in September 2008. Led by her dynamic and energetic style, our congregation continues to serve as a beacon of liberal religion in the Waterloo Region. In September 2012, our name was changed from First Unitarian Congregation of Waterloo to Grand River Unitarian Congregation. On October 12, 2014, two fibre art pieces were installed on the chancel wall. Artist Karen Cummings, a member of the congregation, introduced the pieces. On November 15, 2015, the congregation danced in the aisles during the postlude to honour Allan and Lloy Grose, members who were moving away. Here's a video of Allan dancing with Mavis Kerr after the service a few years ago. We will all miss this joyful spirit! On December 6, 2015, members of Grand River Unitarian Congregation voted unanimously to support Syrian refugee sponsorship. On Sunday mornings, and throughout the week, our members and friends are active and learning. Our membership is currently around 150 and growing.